trying to convince themselves and anyone who lives with them that they need to start raising Alpaca. I’d like some fleece at shearing time. The second thing you probably don’t need to know: alpacas are camels. Well, technically they are camelids, which means they are in the same biological family as camels. Camels, ancient camels, first popped up in North America about 44 million years ago. Yes the first camels weren’t in the Middle East or Africa, they were in Canada and Colorado and such. How weird is that? The camel ancestors roamed all over and spread south to South America and into Asia via the Bering Strait. Then, about 11,000 years ago all the North American Camels died. (It was the same time all the mastodons died off.) So the South American camel ancestors and the Eur-Asian camel ancestors were separated and of course today they are very different animals. Alpacas come from vicuñas, a wild camelid that lives high in the Andes mountains. A Vicugna. Image from Wikipedia. So do llamas, by the way. Both alpacas and llamas are descended from this same shy animal. About 6,000 to 5,000 years ago people started domesticating and breeding these camelids. The ones bred to be pack animals and/or for their meat became what we today call llamas. The ones bred for their fleece became alpacas. There are two distinct varieties of alpaca: Suri and Huacaya. Suri are the expensive, rare ones. Suri alpaca have long, silky, shiny fleeces. The fibers are nearly straight and can be quite long. Suri & Huacaya alpacas. Image from Gateway Ranch and I think that is a misspelling of the name Huacaya. 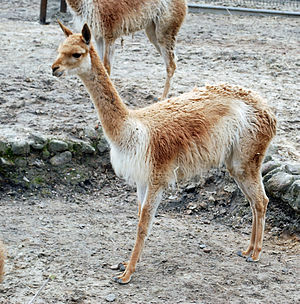 Huacaya alpaca are more common. They look fluffy because their fleeces are shorter and have more curl and crimp. 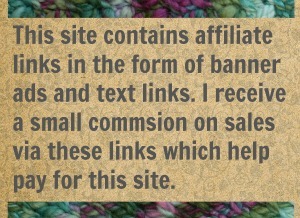 If you are buying alpaca yarn or fiber and it does not say which type it is… its almost certainly Huacaya. When you buy Suri Alpaca its usually says so on the label (and you’ll know it by the higher price). Alpaca have no lanolin, no grease, in their fleece. That makes it quite different from sheep fleece. For anyone with a lanolin allergy that’s good news. Its why you sometimes see alpaca yarn labeled as “hypoallergenic”. Its also sometimes labeled as “prickle free”. Now I personally won’t claim that alpaca is prickle free. My experience tells me alpaca can be plenty prickly… unless you get baby alpaca. As alpaca get older their fleeces get rougher. Specifically they develop guard hairs which are coarse and a bit wiry. So the best alpaca fleeces are from babies. Technically a baby alpaca can be up to 18 months old. Its any young alpaca that is getting its first shear. Yarn made from those fleeces might be able to pull off the prickle-free claim. 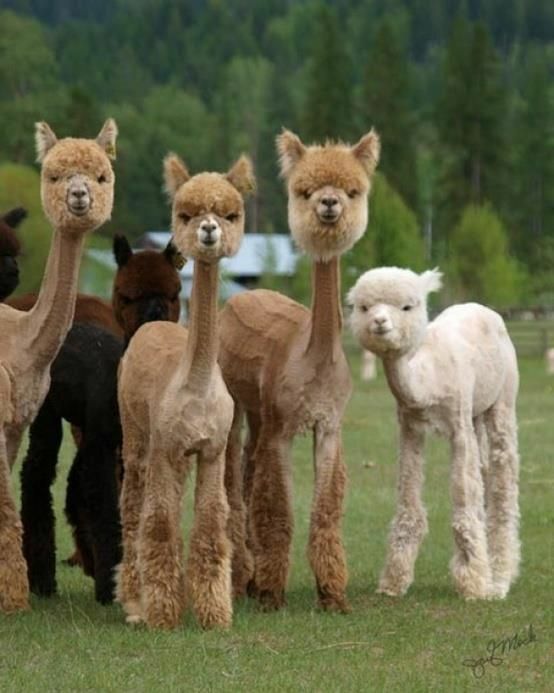 Some just shorn, very naked alpacas. Image source unknown. And I’ll end with one more fact about alpacas that I couldn’t seem to work in above. Its a little fact that you almost certainly don’t need to know and might not find very interesting at all but I’m going to tell you any way: alpacas like to go poo in the same place every time. Yep they have “toilet” areas. If you keep more than one alpaca, they will go poo in the same place often at the same time. How weird is that? Now this behavior seems to be the basis for the claim that alpacas can be housebroken and kept indoors but there is No Way At All I believe that, not even for a second. The idea of alpacas living in the home and using some sort of industrial sized litter box is exactly the kind of lie Texans tell to see if anyone believes it. No one is keeping alpacas inside like cats right? And if they are I don’t even want to know. Just let me live in ignorance. And send fleece. 33 Comments on "Stuff Knitters and Crocheters Probably Don’t Need to Know about Alpaca… but might find interesting"
Thanks for all the insight. All I know about alpacas is that scouring their fleece is a B… hard. It isn’t really a fleece IMO. Have to be very gentle, very careful or it all turns into a huge mess. The only other thing I know is that the wet fleece takes forever to dry. Is it all worth it in the end? Yes. Nothing warmer out there except maybe yak or musk ox and I sure can’t afford that. Oh yes alpaca is a pain to clean but oh yes is it warm. It keeps you warmer than wool. Those alpaca know how to grow seriously warm fur. Very interesting…..read it out loud to the hub’s as we sit watching the ‘Bama game. Showed him the picture of the sheared babies and he immediately said “We need an alpaca!” whereupon I looked at him like he’d lost his mind! Like you said, their fleece may not contain lanolin but it prickles. And being as I’m not sure what it is in wool that I’m allergic to……well, I’ll just admire the pretty pictures of the cuties! I’m sorry, i can’t resist….War Eagle! The Tide keeps a rollin’ along! Sung to the tune of Rawhide. Well it might be worth buying a small amount of alpaca and giving it a try. Alpaca is a bit more than wool but its not too expensive. But just the yarn. Don’t go buying yourself and alpaca no matter how cute. The small ones grow to 120 pounds! I think I’ll do that……after I stock up on Benadryl and anti itch cream…..just in case! And, yes, definitely JUST the yarn. Told the hub’s that they ain’t THAT cute and to go love on his dog and pretend she’s a alpaca, lol! 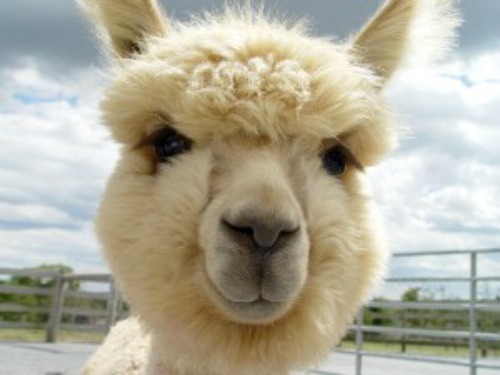 Fwiw, often alpaca cousins, llamas, have fleece as fine or finer than many alpacas. Some live in my barn. And one guy, at 10, still has fine fleece. Yes, I will send you some, if I can get your address! Out in my part of Texas a lot of ranchers have a llama in with their goats or sheep. They use them as guards against predators. So they must be pretty darned tough. What a cute username you have, lol. Llamas are quite big so if you have several I image you have a big place. Used to keep the original 3 llamas on 3 acres in GA. We’ve moved a few times since, and everyone here is a rescue. I love sharing llama fleece. Once took some in a brown paper sack to a fiber festival, and asked knowledgeable fiber folk “llama or alpaca?” They couldnt tell. Lol ok I’m intrigued I’ve never used llama OR alpaca before lol I keep trying to find a decent place to get it at a reasonable price….that’s probably my issue lmao BUT is it very different from wool? Not that I’ve used raw wool before either lol just now trying to teach myself to spin. Its different. Alpaca, any kind, is warmer than wool. The individual fibers have more hollow space and so they trap more air. For the same reason they absorb more water and keep you drier longer. I’ve noticed that alpaca has a bigger “bloom” effect when you block it. In commercial yarn and especially in my handspun, alpaca really puffs up so an after-wash swatch is very different than a before-wash swatch. Thanks! Sending a private reply. 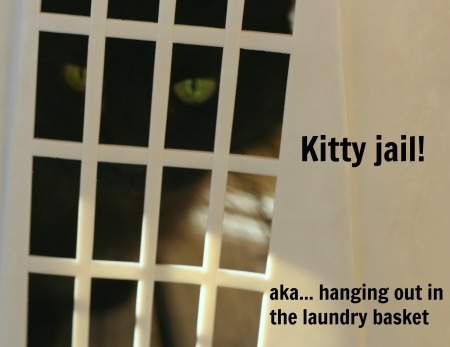 I only have two kitties and I have plenty of cleaning “opportunities” myself. And I hate cleaning!